Designed specifically for Bar Associations, InTouchOnDemand AMS offers a low cost setup and no hardware or software expenditures. No more costly fees for maintenance and enhancements, they are free as a part of your annual subscription. Host your Bar Association services with IntelLinx and pay only for the Modules you use. feature, every new improvement, even major upgrades at no extra cost. Online LRS Case Management made easy using the latest Technology. Having interviewed many Lawyer Referral Organizations across the country, and building on the success of our flagship product InTouchOnDemand, we are now proud to deliver LRSOnDemand. allows for each organization to easily setup and maintain their own fees, panels, etc. 2014, Our latest addition to our suite after years in development is our "Court/Indigent Defense Module". 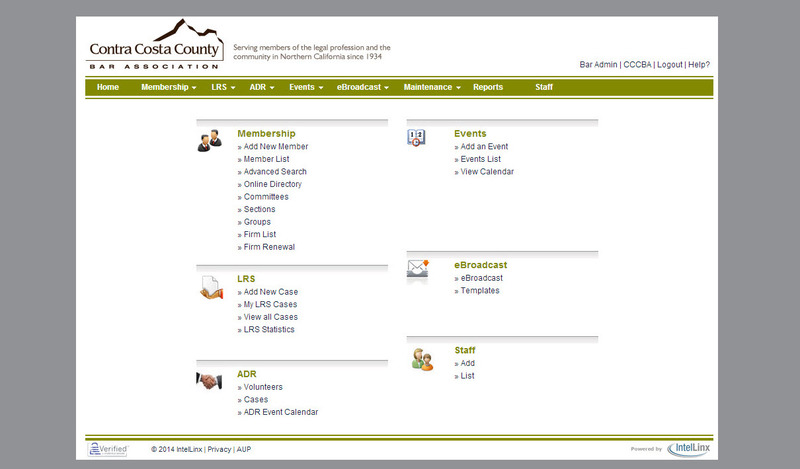 The Court Module is fully integrated into our LRS software allowing a Bar Association to fully schedule both Bench Assignments and Attorney Rotation for the Courts. This Module offers complete Case tracking and Online Case Billing. All IntelLinx Modules are fully integrated into our AMS giving your Association a single source for your online AMS/Database. Our design engineers work hard to make sure our software is very intuitive to use while at the same time we allow you to customize each module using our setup/maintenance panel. No more moving data between different applications, vendors, or website. Reporting and Statistics is a breeze. Along with the usual default reports we include a report builder for you to create, build and save your own reports. All reports can be exported to Excel for further analyses or importing into yoru accounting software. During our regular system upgrades we often include additional reports as part of our service. Specifically designed for Bar Associations, InTouchOnDemand (ITOD) truly offers the complete solution at a price all Bars can afford. ITOD provides all the functionality required to run your Bar, while simplifying day to day tasks and maximizing staff resources. We are the only Association Management solution offering Modules for every aspect of Bar Management. Whether you need simple integration with your current web site or a new professionally designed and hosted web site we have a solution for you. Go to IntouchOnDemand. LRSOnDemand was built from the ground up for LRS Case Management. You asked and we listened; LRSOnDemand is truly the leader when it comes to automation and innovation. Building off our flagship product, ITOD, and working with leading LRS Associations across the country, we created this robust LRS product. Hosted in the Cloud, LRSOnDemand is an affordable solution for any Bar and can be easily integrated into your current web site. 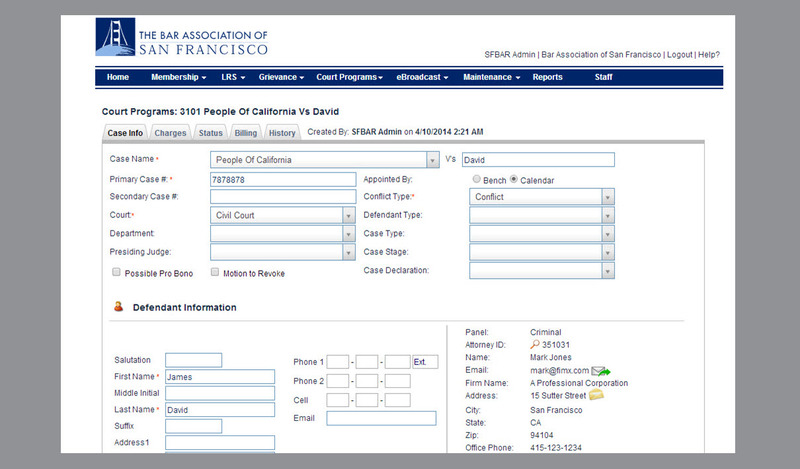 ICourtOnDemand - A new product from IntelLinx, built to automate Court Programs run by Bar Associations or the Courts. 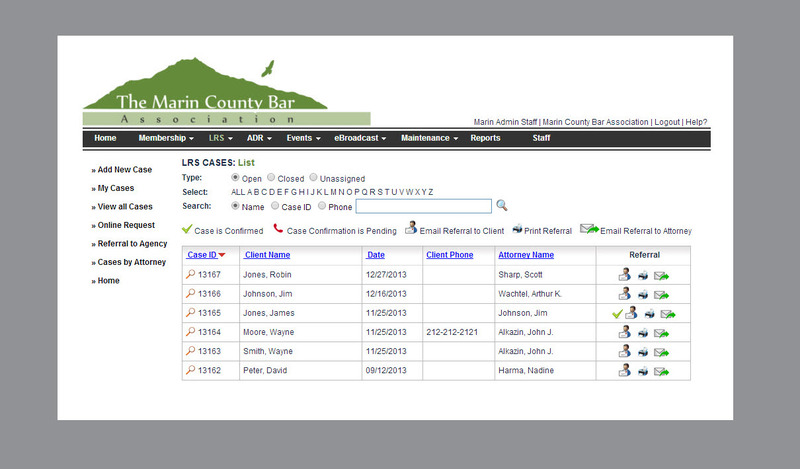 Well thought out scheduling module allows the bar staff to easily schedule the Court Appointments and notify attorneys. Optional login for Judges and Court Clerks.